The gingham days are in full swing, putting me in that summer state of mind. Obviously picnics come to mind, and sunny wanderings under blue skies. I took to exploring the California landscape, stumbling upon this endless field of gold. It reminded me of my childhood in Illinois, running through expansive cornfields with my neighborhood friends and collecting wild mulberries that stained our hands purple. The gingham trend is so nostalgic to me. Somehow we all ended up on the same bandwagon when it came to this print, making it a rising trend for this spring and summer. To me, it’s so French Riviera / French Countryside. 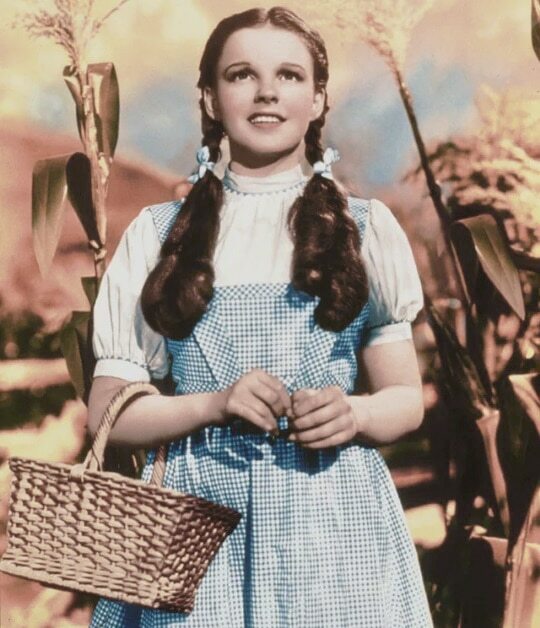 Or maybe we are all just subconsciously channelling Dorothy… maybe I don’t even mind! 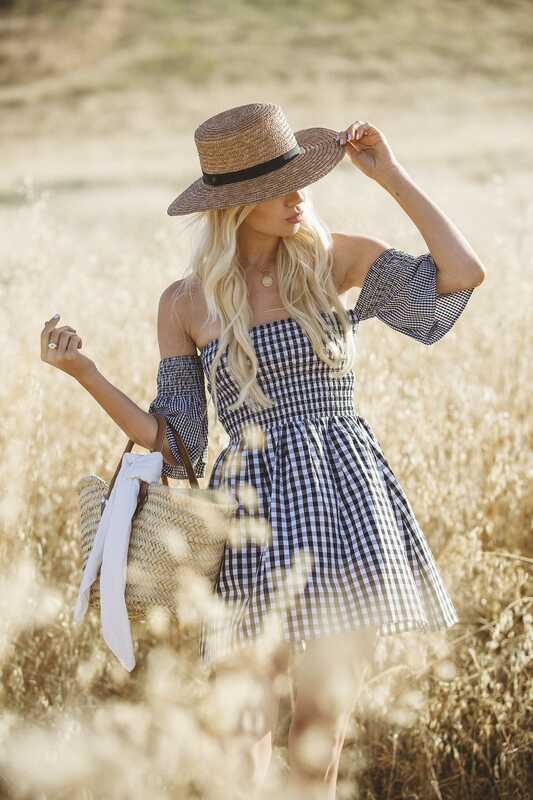 This Vetiver Collection dress makes all my gingham dreams come true. Paired with my faithful french market basket, a straw boater hat, and little black shoes, you can go wrong for an adorable vintage look. Give me all the baskets, I can’t get enough and I’m starting a collection. But I’ll have to share that with you in another post. Get these outfit details at the bottom of this post!